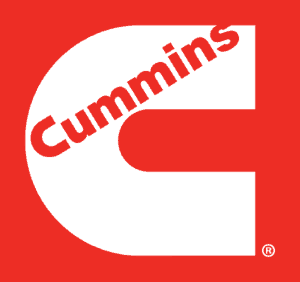 American Motorhomes have more servicing requirements than American 5th Wheel trailers. It is far easier to take a Motorhome to a repair centre than to take a Fifth Wheel there. The trend is nowadays to buy a 5th Wheel and put it onto a site where it can be used for permanent accommodation. Having the 5th wheel permanently sited has its advantages, it eliminates the requirement to own a tow vehicle. Problems arise when the American 5th Wheel requirements change and the 5th wheel is used on the road. The first problem that may occur is that the tyres can become perished, this is easily noticed as cracks in the rubber appear on the side wall of the tyre. The second problem that could occur is that the brakes rust up, this can be easily recognised by a rubbing noise or a locked wheel. One of the problems you may not notice is the wheel studs, we have noticed that the wheel studs can become corroded just where the wheel sits. What happens is that the force of the wheel snaps the wheel studs which can result in the wheel leaving the trailer. A very dangerous thing to happen. 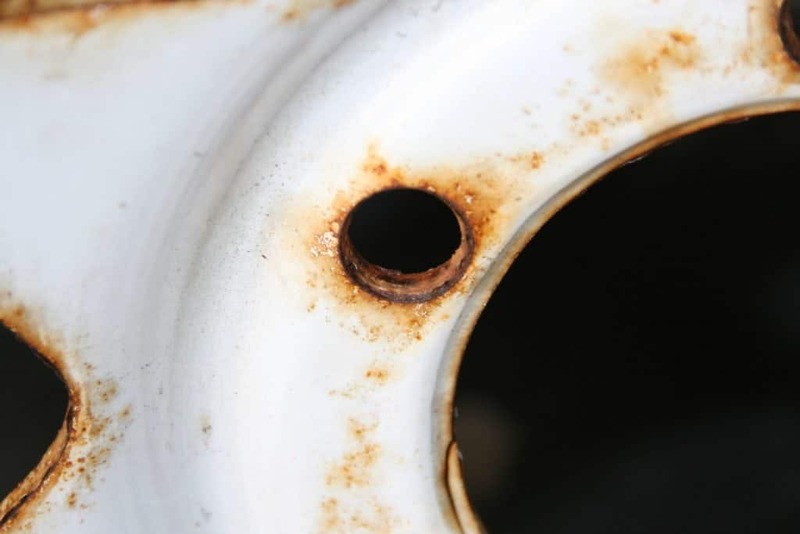 What LAS Motorhomes suggest is to remove the wheels and check for corrosion on the wheel studs. 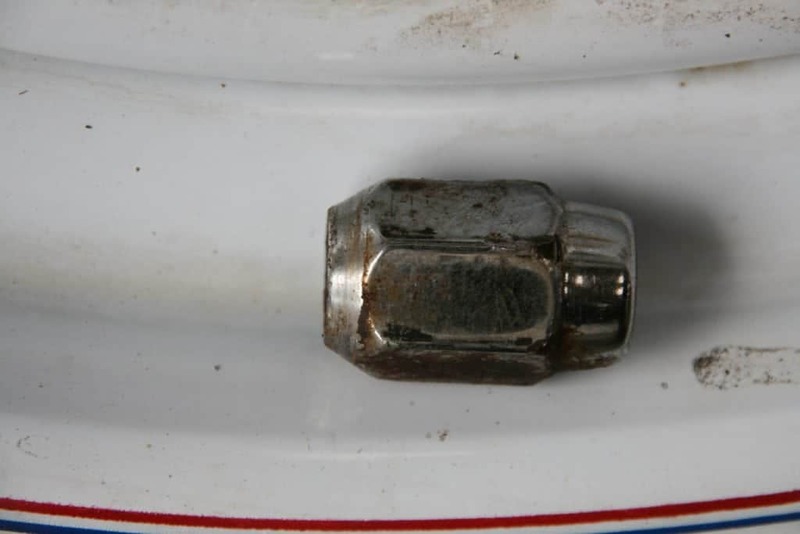 As you can see from the picture the stud on the left has been removed from the hub and not cleaned. 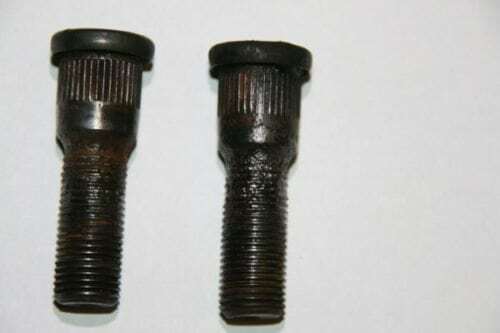 The stud on the right was removed from the same hub and cleaned on the wire brush, you can see the corrosion that would weaken the stud. The wheel nut has a 45-degree taper which centralises the wheel to the hub using a 45-degree taper to the wheel. This system leaves a gap between the front of the hub and the back of the wheel, this is where the corrosion starts. 45-degree taper on the wheel. 45-degree taper on the wheel nut. 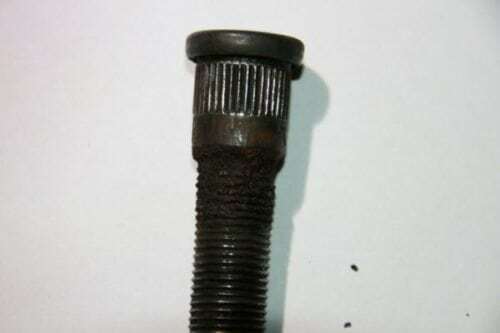 This corrosion has proven to weaken the wheel stud and with the high forces exerted on the wheel when carrying out tight manoeuvres, this will stretch the bolt which can cause a failure. For more information call LAS Motorhomes on 01604 861999.